WE ARE CURRENTLY ACCEPTING NEW CLIENTS. DON'T WAIT. CALL (480) 540-5063 TODAY! Get your RISK FREE online marketing review today! Call (480) 540-5063 or use the form below and. Increase quality visitors to your website fast with the BEST PPC Management in Arizona. Ethical, long-term strategies and implementation to grow your online search presence. Web design and development with an experience focus on increasing your marketing ROI with conversion-based design. Buffalo Media leverages proprietary technologies to scale your business to new heights. 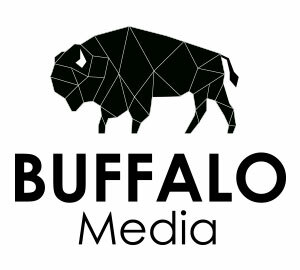 Armed with an arsenal of digital weapons to boost your leads and surge revenues, Buffalo Media drives results. Our approach is not one of a vendor and a client, but a partnership of consultation and collaboration that amplifies your success. Brandon with Buffalo Media was proactive through the process and was responsive to my needs. Communication is important to me and I feel like Brandon excels in that aspect. Ethics and a focus on the customer were two things that stood out when interacting with Buffalo Media and Brandon. I felt valued from the start. Upon initially meeting Brandon Drake I knew that I found the best agency for my needs. He approached the partnership in a consultative way that made me felt respected as a business owner. Receive your RISK FREE online marketing review today! or Call (480) 540-5063 Today! Copyright © 2017 - Buffalo Media Marketing.